Marketers in the manufacturing industry need powerful tools to develop, execute, test, and optimize their marketing initiatives. Act-On provides these resources and more to make sure that their messages are being delivered to the right audience at the right time. Since the Act-On platform was implemented, web traffic has doubled, sales revenue has climbed 15%, and sales leads have grown year-over-year by 33%. Every manufacturer or distributor understands the risk of market disruptions. While 100 years ago, mass production was the disruptor, mass customization has become the leading trend over the past decade. And for marketers working in manufacturing and distribution today, that need for customization applies to buyers’ journeys. In an industry with razor-thin margins, marketers have a huge opportunity to win more business through personalized marketing. Your marketing goals, delivered on time, every time. From driving more website activity and tracking it in detail, to motivating prospects to action on specific offers or products with engaging landing pages, Act-On gives marketers the tools they need to easily drive demand. Act-On enables you to leverage behavior insights to create personalized triggered-based emails that convert prospects to buyers. Email campaigns are done in a snap thanks to easy-to-use templates. We also have strong account-based marketing capabilities to help you focus on target accounts. 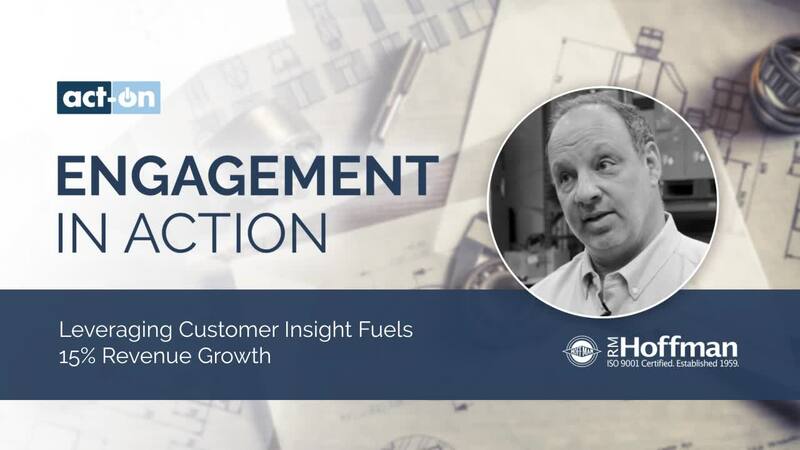 With Act-On’s industry-leading personalized nurturing tools, you can better engage with your customers based on what they’ve bought or motivate them to invest in similar products based on their purchase history. Act-On is the only marketing automation platform that maintains native integrations (not owned by a third party) for all of the top CRM systems – Dynamics, Salesforce, SugarCRM, and Netsuite. In addition, we support a vibrant integration ecosystem that helps every customer have more connected marketing efforts. Convena eliminated the mountain of manual work in reporting on marketing results with Act-On’s robust analytics and reporting capabilities. Marketing analytics no longer are elusive with Act-On thanks to a variety of funnel, campaign, and revenue attribution analytics embedded in our platform. Our Data Studio module even makes it easy for you to export all of your data into your own BI tool if you’d like. Manufacturing and distribution are all about tight margins and quantifying ROI. We get it. Our customers get it too, which is why they choose Act-On to help them realize their business and marketing goals. For example, Bisco Industries created a 3-year amortized analysis on their Act-On investment and recognized a 1,283% ROI in the first year alone. 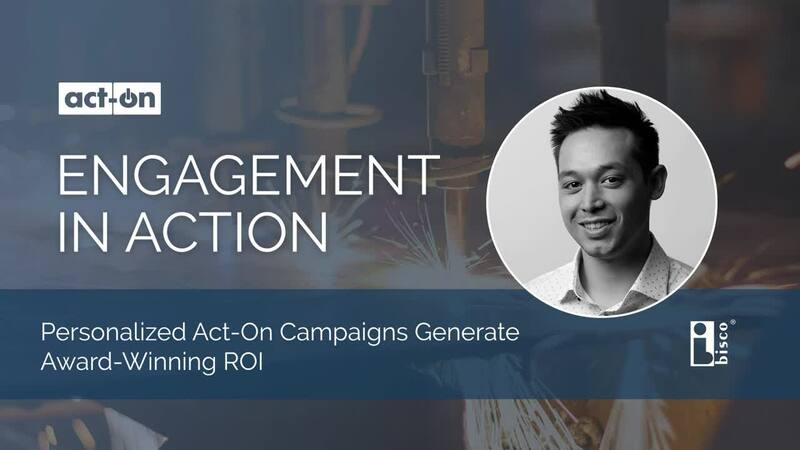 Watch the video below to learn how email marketing automation and other Act-On features can improve your manufacturing business. Check out the ROI analysis done by an independent industry analysis to learn more about how Bisco Industries benefited from their purchase of Act-On.